Mrs. Lincoln's Inkin: Someone Swell!!! Hi everyone!! 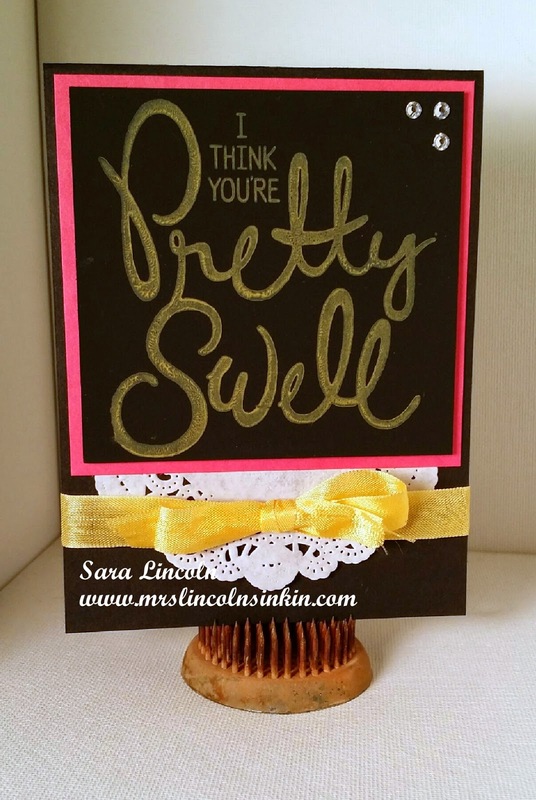 Welcome to Mrs. Lincoln's Inkin' and today's card share. Today's card is showcasing some of the new items that are going to be available in the new Spring Catalog that will be launching January 5th (i think, hehe). The items from the new catalog that i am LOVING are the Chalkboard paper and the Colorbox Chalk ink. They are awesome! They stay wet longer too, so if you choose you can heat set them to give them a bit of a shine.